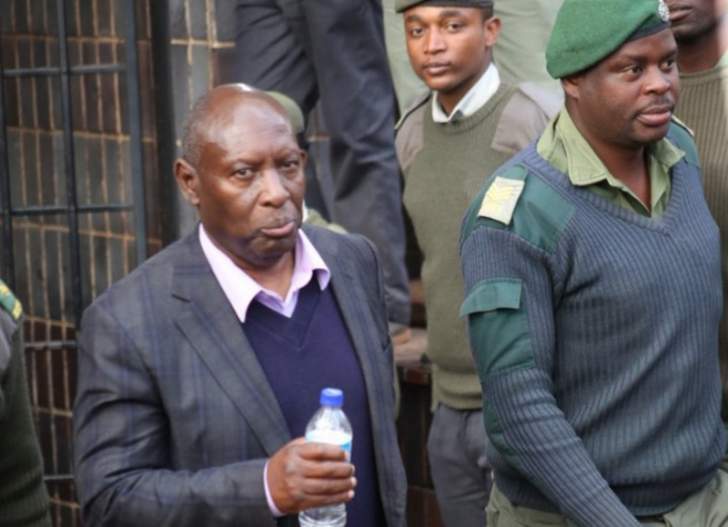 FORMER Energy Minister Samuel Undenge has been jailed for four years after he was convicted of abuse of public office. Undenge, 62, who lost his job after a military coup that ousted former President Robert Mugabe last November, was accused of handpicking a public relations company for the Zimbabwe Power Company (ZPC) without going to tender. Undenge will serve two and half years behind bars after 18 months was conditionally suspended. He had maintained his innocence throughout the trial, arguing he was being persecuted for refusing to support Zimbabwe's current rulers, whom he said had committed worse corruption. Undenge's lawyer Alec Muchadehama gave notice that the former minister would challenge both his conviction and sentence at the High Court. Former Zanu PF Highfield West legislator, Psychology Maziwisa and television personality Oscar Pambuka were also sentenced to a total of 78 months in jail each for fraud. Maziwisa (34) and Pambuka (33) who were facing two counts of swindling the Zimbabwe Power Corporation (ZPC) of $12 650 in a botched public relations deal, will, however serve 30 months each after Harare magistrate Lazini Ncube conditionally suspended the sentences.